Quick search for properties in Near North including the River North, Streeterville, Gold Coast, and Old Town neighborhoods. Click on the links below. 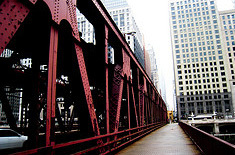 Near North neighborhoods consist of River North, Streeterville, Gold Coast and Old Town. The River North Gallery District in Chicago is in the Near North Side, Chicago. It hosts the largest concentration of art galleries in the United States outside of Manhattan. Though, like most city neighborhoods, the exact boundaries are debatable a common definition puts the District in the area north of the Merchandise Mart, south of Chicago Avenue, east of Orleans and west of Lasalle. As it has grown, and the area has gentrified, galleries can also now be found west of Orleans and east of Lasalle, though the core area still contains the highest concentration of galleries. Along with hundreds of art galleries, the area holds many bars, dance clubs, popular restaurants, and entertainment venues. Streeterville is a neighborhood in Chicago north of the Chicago River. It is bounded by the river on the south, Michigan Avenue on the west, and Lake Michigan on the north and east. Legend says the reclaimed land on which the neighborhood is built owes its existence, solely, to George Streeter. In the late 1880s, George 'Cap' Streeter claimed his boat hit a sandbar just off the shoreline during a storm and there it stayed; he and his wife made this their new home. The Streeters encouraged dumping in this area and, after several years, the debris built up and became solid land. George claimed this 'new land' as an independent territory in respect to an 1821 government survey that declared Chicago, and Illinois, property lines terminated at the shoreline. Under his homesteading rights as a Civil War Veteran, he declared the new land to be the District of Lake Michigan. Naturally, the powers that be eventually got around to seizing this land by force, and it is now home to some of the most expensive real estate in Chicago. Streeterville houses some of Chicago's tallest skyscrapers and most upscale stores, hotels, restaurants and theaters, as well as Northwestern University's Feinberg School of Medicine, School of Continuing Studies, and School of Law. The Magnificent Mile portion of Michigan Avenue is part of Streeterville, as is the number one tourist attraction in Chicago, Navy Pier. 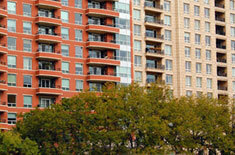 The Gold Coast is the wealthiest neighborhood in Chicago and the second wealthiest neighborhood in the United States. Only Manhattan's Upper East Side is more affluent. The Gold Coast consists mostly of high-rise apartment buildings on Lake Shore Drive, facing Lake Michigan, but also includes low-rise residential blocks inland. As with many neighborhoods, its exact borders are subject to dispute, but generally extend south to Oak west to LaSalle. The Gold Coast was an unexceptional neighborhood until 1885, when Potter Palmer, former dry goods merchant and owner of the Palmer House hotel, built a fanciful castle on Lake Shore Drive. Over the next few decades, Chicago's elite gradually migrated from Prairie Avenue to their new homes north of the Loop. 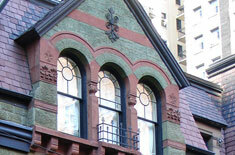 The "Gold Coast Historic District" was listed on the National Register of Historic Places on January 30, 1978. Old Town (sometimes called Old Town Triangle) is bounded by Armitage Avenue on the north, Division Street on the south, Larrabee Street on the west, and Clark Street on the east. It sits inside the community areas of Lincoln Park and the Near North Side, and is part of Chicago's 43rd ward. The heart of Old Town is Wells Street which hosts an art fair each summer at the same as the Old Town Art Fair. 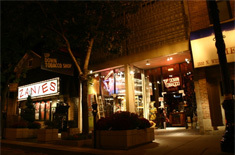 Wells has numerous condo residences, restaurants and boutiques and is famous for Second City and Zanies comedy.